If you have not yet heard about Germany’s Vice Chancellor, Phillip Rösler, here’s a nice little summary. Phillip Rösler currently serves as the Federal Republic of Germany’s Vice Chancellor, as well as the country’s Federal Minister of Economics and Technology. 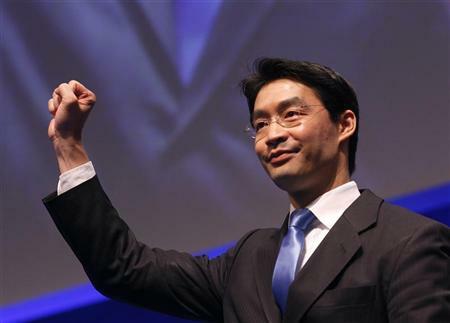 He was previously the German Minister of Health in 2009 before rising to greater heights in 2011 to current. Rösler is a German national, but his roots lay in Vietnam… Impressed yet? Though the actual birth date of Phillip Rösler is unknown, the German government classifies it as February 24, 1973. He was born in the former Republic of Vietnam, but lost his parents during infancy. He was then adopted into a German family, who moved him out of war-torn South Vietnam all the way to the democratic West Germany. From then on, the child from Vietnam would live his life German, under the guidance of his father, a professional military man. Rösler also served in the German military, acting as a medical soldier in the army’s Bundeswehr. At the same time, Rösler rose through the ranks of Germany’s Free Democratic Party, becoming the party’s secretary general in only 8 short years in 1992. He also studied medicine at Hanover Medical School in Germany and went on to become a haert surgeon. In a very short period of time, both Rösler’s medical and political careers reached astronomical heights. In 2009, Philip Rösler was appointed as Germany’s Minister of Health. 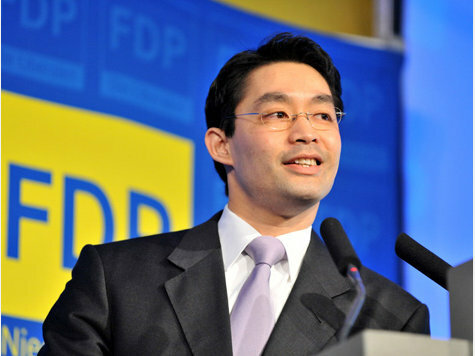 By 2011, Rösler became Germany’s Federal Minister of Economics and Technology, Chairman of the FDP, and the Vice Chancellor of Germany. Today, Rösler is second only to the current German Chancellor, Angela Merkel. What makes Philip Rösler so remarkable is not just his accomplishments, but also where he achieved them. Not only has Philip Rösler elevated to astronomical heights in both his political and medical careers, he achieved them in an extremely difficult environment. German society, though very tolerant and cosmopolitan, is still more favorable of Caucasians than Asians in terms of selectivity. For this reason, it is incredible that Rösler, a Vietnamese ethnic, was able to rise through the ranks to hold three big government positions and become the second most powerful individual in the FRG. His accomplishments, in conjunction with his Vietnamese roots, just goes to show what Vietnam’s people are capable of great things if given the opportunity. Just imagine if Rösler remained in Vietnam all his life, would he have been able to use his talents the way he did in Germany? It’s pretty hard to imagine, right? Instead of fostering the talent of the people, the VCP simply stifles them, casts them aside, and keeps them in submission. There are many Rösler’s in Vietnam, sadly, the Party is incapable of ever utilizing these talents. This is just another example of how the Communist Party of Vietnam has failed its people. The VCP punishes intelligence and rewards idiocy. By now however, given all of the stupidity the VCP has shown, I am incapable of feeling any surprise for them anymore.